According to the Venezuelan Government, President Nicolás Maduro as survived an assassination attempt. The alleged attack occurred during a live speech on Saturday the 4th of August. 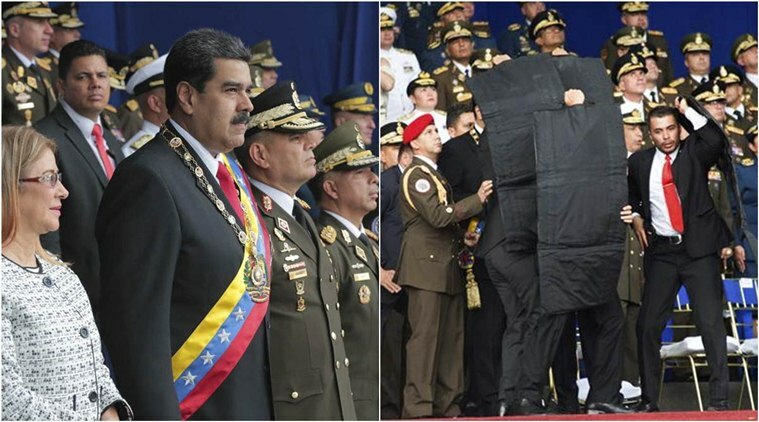 Maduro's speech was in commemoration of the Venezuelan National Guard, and was given in the capital Caracas. The attack was believed to be carried out via two drones laden with explosives, detonating near to his position. A video (shown below) captures the incident, wherein a loud bang is heard, causing Maduro and those around him to look up. The camera then cuts to to Venezuelan soldiers scattering in the streets. 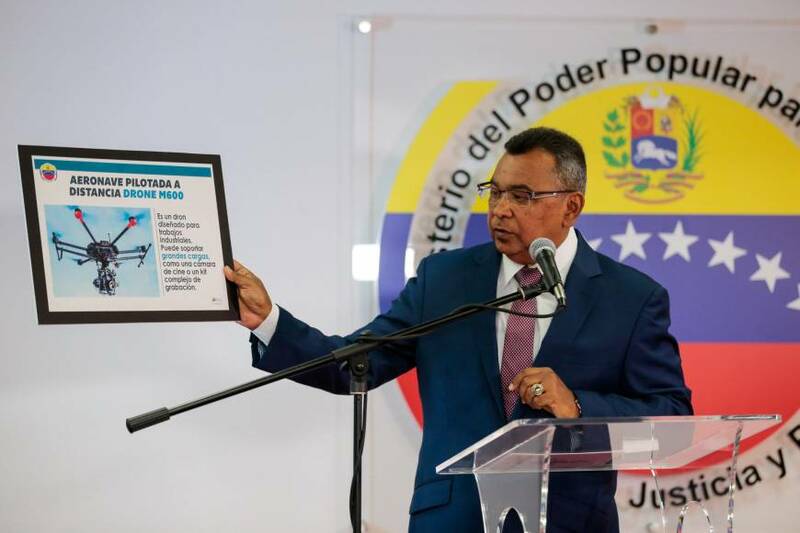 Shortly after the attack Venezuela's Communication's Minister confirmed the attack, claiming it was carried out by drone-like devices that carried explosives. The President was uninjured, however several National Guard soldiers are said to have been injured. According to Reuters a group calling itself the "National Movement of Soldier's in T-shirts" has claimed responsibility. 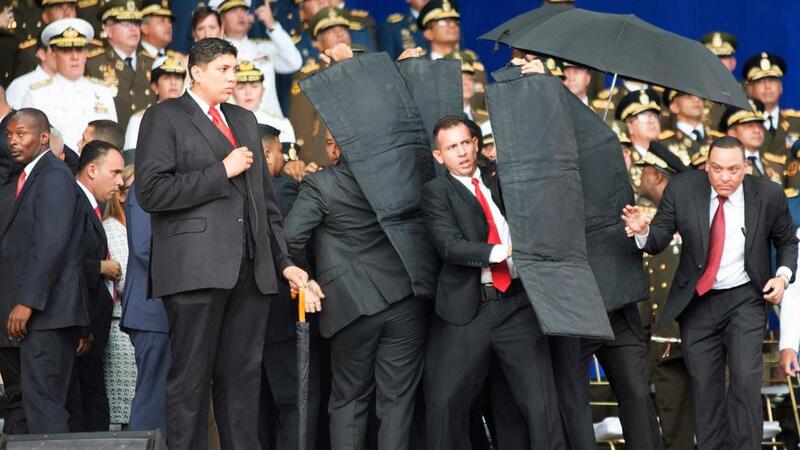 Bodyguard's respond to Maduro drone attack with ballistic shields. Nothing however is clear at this point as reports from Firefighters at the scene contradict the Communication Minister's account. The account is also different to that which is reported by Reuters, mentioning stating that drones were shot down by snipers. 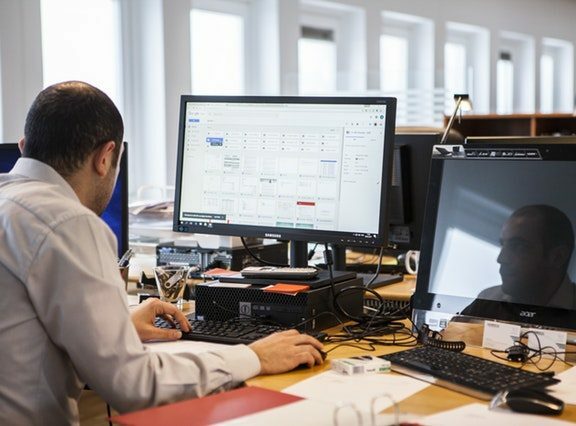 The Reuters account also claims Maduro since accused Colombian President Juan Manuel Santos, but that he gave no evidence in support of the claim. Apparently has also claimed that financiers of the attack and several of those "intellectually responsible" reside in the US, and since then, US National Security Advisor John Bolton has told Fox News the US was not behind the attack. What's in store for Drones? This represent's uncertainty for the future of commercial drones, at least in Venezuela.